One of the challenges of summer vacation is that teenagers often find themselves with more time on their hands than sense in their heads. While getting a job and volunteering their time are both great ways for teens to make use of their summer vacation, those options aren’t always available. Parents who are concerned that teens will get into trouble or go off seeking thrills if they don’t have anything interesting to do should try to address the issue proactively. 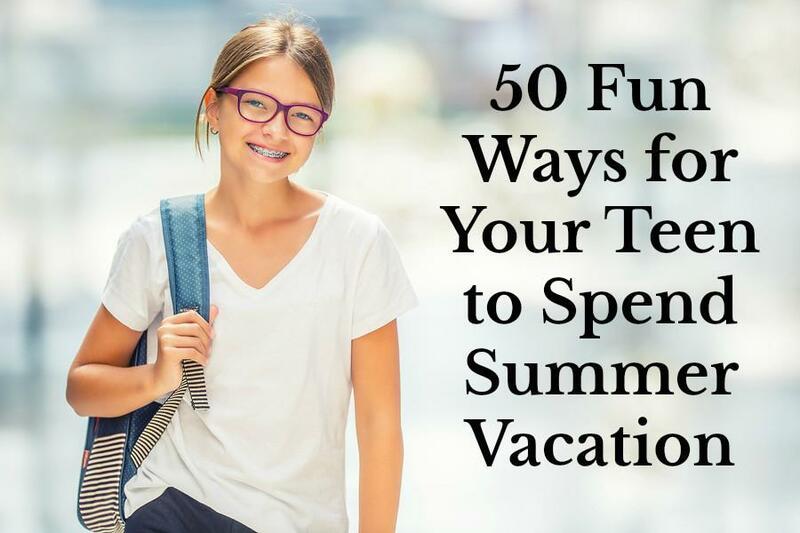 Rather than waiting until your teen is in trouble or until you notice undesirable changes in their behavior, take the first step and help them come up with fun, interesting, entertaining, and even educational ways for them to spend their summer. 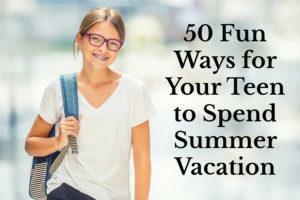 To get you started and give you some ideas, here are 50 of our favorite fun ways for teens to spend their summer vacation. Build a fort for someone smaller. Make your own ice cream sandwiches. Host an all-night movie marathon. Setup a Frisbee golf league. Hold a carwash with your friends and donate the money to charity. Read one book for each year of your age. Volunteer to mentor younger kids. Babysit for extra spending money. Teach someone else how to swim or ride a bike. Learn how to do your own laundry. Get some friends to go geocaching with you. Host the backyard Olympics for other kids on your block. Read to younger children at the library. Make your driveway into a drive-in movie theatre for bikes. Host a backyard board game championship tournament. Go on a college visit. Put on your own concert. Learn how to drive a boat. Ride every rollercoaster at the local amusement park. Learn how to cook on the grill.